Hiya, folks! In a clever scheme to better equip humanity to embrace and serve the Elder Gods, an adorable mascot was created to represent the great cosmic entity Cthulhu and sell heaps of merchandise. 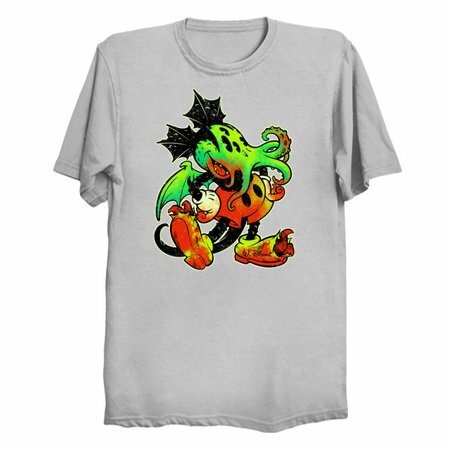 That mascot was patterned on the world's most popular and recognizable cartoon character (who happens to be a mouse). If ol' Walt weren't cryogenically frozen and awaiting resuscitation in the secret bowels of "The Happiest Place on Earth", he'd be spinning in his grave like an electrified top! 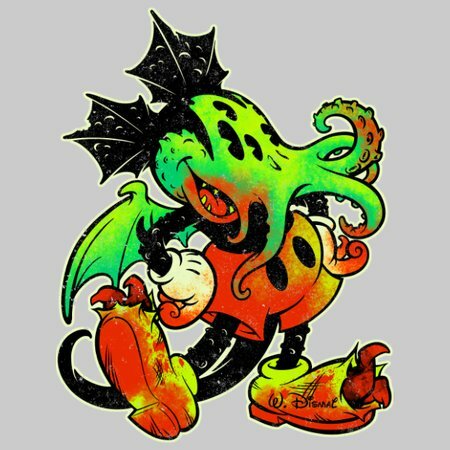 Anyway, let's give a big warm welcome to Mickthulhu Mouse and embrace those initial tendrils of insanity tickling at the back of our brains. Whatta Dismal World!